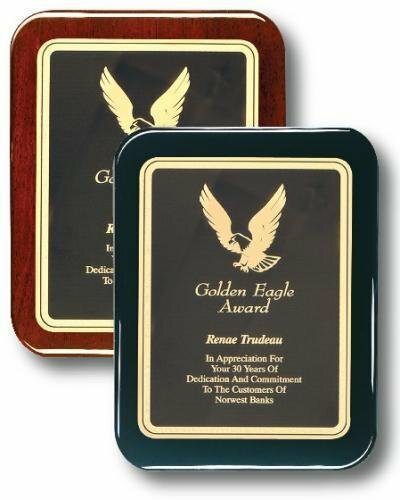 These Piano Finish Plaques with rounded corners are available in Black or Rosewood finish and in 3 sizes, 7 x 9, 8 x 10 and 9 x 12. Includes a black plate with gold border. 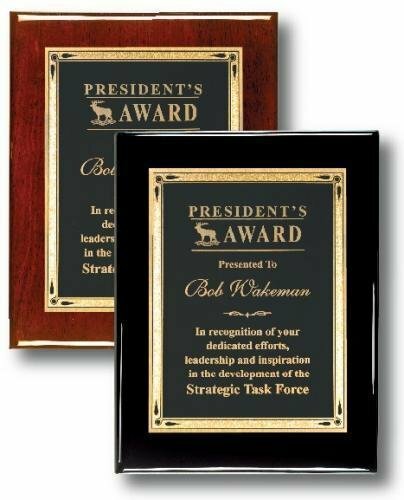 These Piano Finish Plaques with Square corners are available in Black or Rosewood finish and in 3 sizes, 7 x 9, 8 x 10 and 9 x 12.